Publisher: Ruth Nyaboe September 25, 2017 This information is provided solely as a guideline. 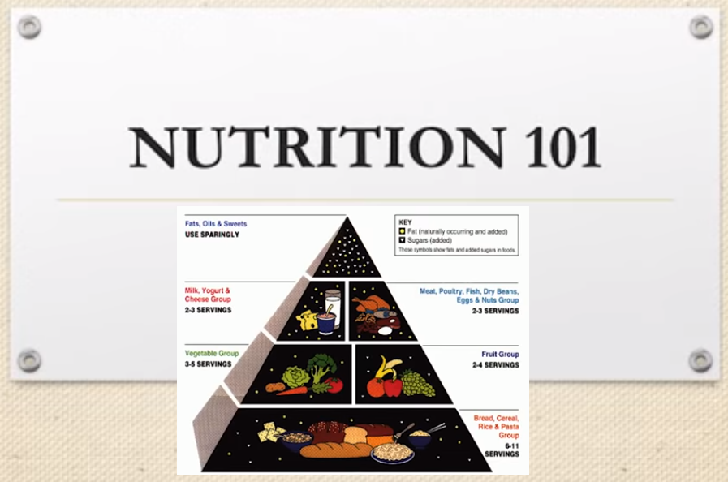 Here’s a summary of the basics about nutrition. You can use this chart to learn what each nutrient does and where to find it. For more information about how much to have of each nutrient, talk with your doctor or dietitian. • Carbohydrates are part of a healthful diet. They supply energy to your body. Fruits, Vegetables, Grains • Milk and yogurt • Dry beans and peas. Fiber • May lower your risk of heart disease and helps your digestive system run smoothly. • Fruits • Vegetables • Whole grains • Dry beans and peas. Sugars • Some sugars occur naturally in foods that are important in a healthy diet. • Fruits • Milk.